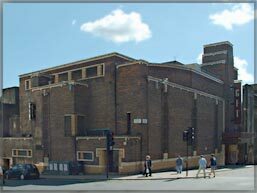 The GFT has been around for many a year - the cafe-bar is named after its previous incarnation, the Cosmo cinema. This cultural mecca goes on doing what it does best, showing the widest range of movies possible in relaxed, comfortable surroundings. It's so welcoming that you'll see huge numbers of lone viewers, completely at their ease. Art house films from all corners of the globe jostle for screen time with study days and themed seasons - Kubrick, architects on film and Hitchcock to mention just a few. Films are sometimes introduced by the director, one of the stars or a local celebrity, in which case there is usually a discussion afterwards. Family and kids' films also appear regularly, as do showings of things you missed the first time round. In Person: The GFT box-office is open daily from 12.00-9.00PM (30mins before the first show on Sunday). Tickets can be purchased in advance for all performances. 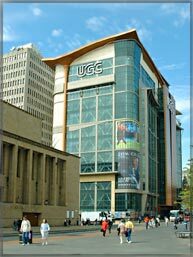 This busy multiplex is situated right in the heart of Glasgow's city centre. Bars and restaurants in the vicinity abound if you fancy some refreshment before or after the film, inside there's a choice of sweets, soft drinks, ice cream, crisps and buckets of popcorn. Films are fairly mainstream and include all the latest blockbusters, kiddies flicks and epic portrayals of love, death and betrayal. 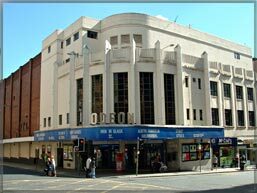 This cinema is first choice for many film fans and queues often stretch right around the corner, so book your tickets in advance if you want to see a particular film. In Person: Daily, 11:00 for Advanced Bookings. Box Office closes approx. 20 minutes after start of last show at 56 Renfield Street, Glasgow, G2 1NF. In Person: Go directly to 145-159 Renfrew Street, Glasgow, G1 2RL.